We love our Keurig machine, each of us in our house could brew the coffees we like when we like them, and rush out of the house. However, we’re always looking for ways to save money on those pesky little pods. 2. If you have a Keurig 2.0 hack it. Most owners who purchased the new Keurig 2.0 machine are frustrated that they can’t use their older coffees, non Keurig Branded coffees, or My Cup type devices that let you brewer your own ground coffee. Thankfully, you could find tons of simple instructional videos that show you how to simply in 3-5 min. By just taping a piece of Keurig lid onto the top side of your machine, you will be able you to brew any coffee you’d like under any brand name. This will allow you to independently find your favorite coffees at the best prices. Click here for a video with clear instructions Keurig Hack. 4. Keep an eye out for warehouse club deals. If you keep a close eye on your supermarket/club store offers you will find some great deal occasionally. You’ll be able to find the occasional 39-.50/cup offer. These aren’t consistent but if you keep a close eye you will catch them and load up when you do. 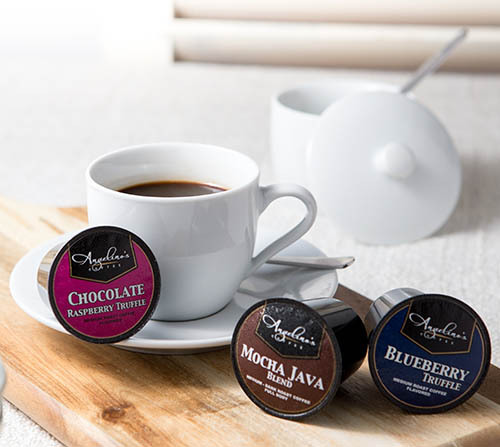 We still feel purchasing k-cups online are the best way to load your coffee cabinet. 5. Register your Keurig machine. If you register your newly purchased Keurig machine keurig.com will give you 50% off your first purchase through their online store. We did it on our first machine but disregarded it on our second one. But the offer is there if you’d like to venture that way. Send us notes with other ways you’ve found to save on your K-Cup purchases.